During the recent visit of P.P. Sri Swamiji in London, a special Mantra was given which all must recite during this most auspicious month. 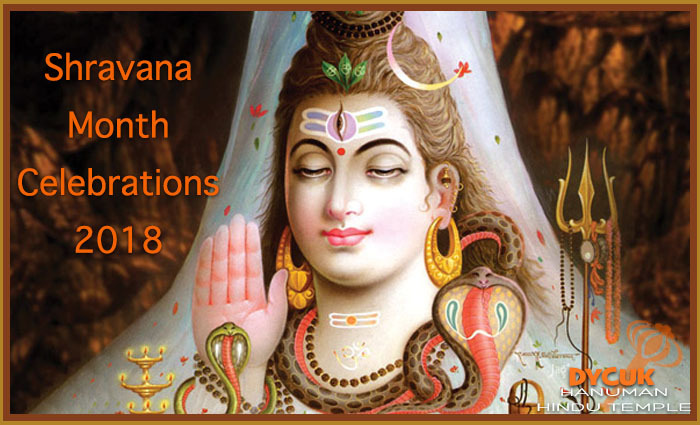 Devotees are requested to visit the temple and perform Shiva Abhisheka. Monday 03 September 2018, Janmashtami, Krishna HIndola, 7:00pm to 8:30pm.